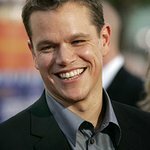 Matt Damon will once again host ONEXONE's annual Difference Awards ceremony on September 9. Among those being recognized this year for their extraordinary efforts towards fighting child poverty and suffering will be Richard Gere, Duchess of York Sarah Ferguson, Assembly of First Nations National Chief Phil Fontaine and Petra Nemcova. ONEXONE is a non-profit organization that supports children in Canada and abroad. Established less than three years ago, it has already raised over $5 million and created partnerships with major corporations and foundations. The charity’s projects include providing first-nations kids with breakfast every day, and a ‘doctor exchange’ in which doctors from Haiti and Rwanda will train at Toronto’s Hospital for Sick Children; in turn, Toronto doctors will travel to Rwanda to repair the heart valves of children damaged by water-borne illnesses. The awards will be given at the gala in the Four Seasons Centre for the Performing Arts, where Shakira, Wyclef Jean of the Fugees, Nikki Yanofsky, the African Children’s Choir and others will perform. Wyclef Jean is also to be honoured for his Yéle Haiti Foundation (Cry Haiti), as are Charlie Engle, Ray Zahab and Kevin Lin, who ran cross the Sahara Dessert earlier this year to raise awareness for H2O Africa, the clean-water initiative founded by Damon and his partners at LivePlanet. Their documentary film of the run, which Damon narrates, will be screened at the Toronto International Film Festival.